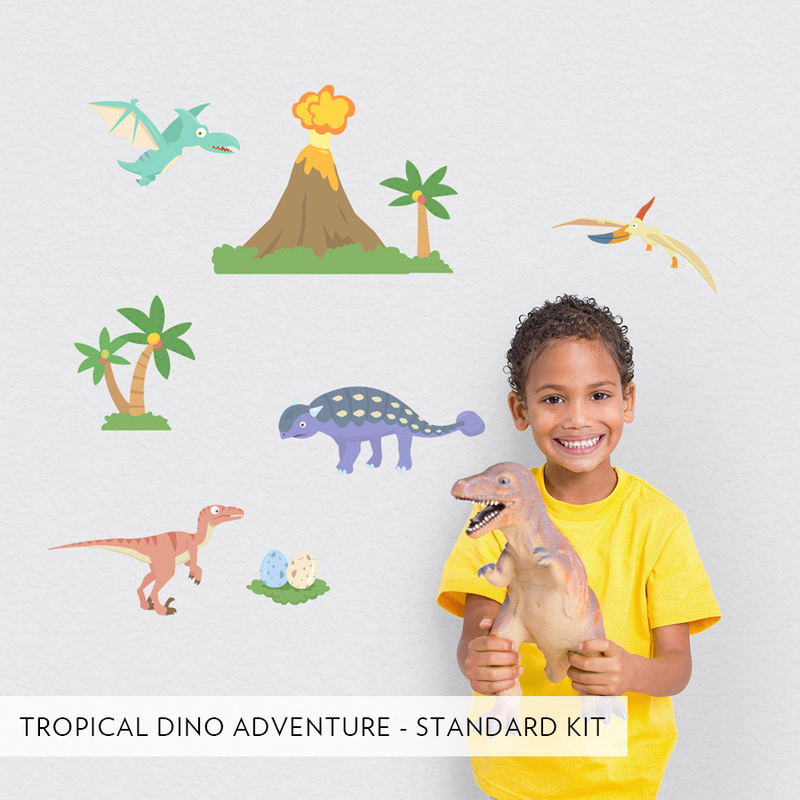 Turn any room into a prehistoric experience! Our Tropical Dino Adventures Printed Wall Decal is fun for the whole family. 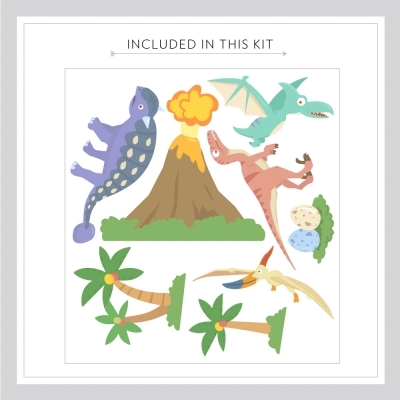 If you like this set, you'll love the Dino Adventures Printed Decal set. Standard/Small Kit - Sheet Size 25" x 27"
Medium Kit - Sheet Size 50" x 29"
Large Kit - Sheet Size 50" x 60"